My favorite bargain grocery store has an amazing bulk-food selection, and I love buying all kinds of herbs, rice, beans and other goodies for next to nothing. Imagine my delight when, during a recent visit, I stumbled upon French lentils for little over a dollar a pound. I’ve encountered a couple recipes involving French lentils in the past but never seemed to find them in the store. These guys seem smaller than regular lentils, but also seemed to hold their shape better when cooked. Heat oil in soup pot over moderately high heat. Add onions and garlic and sauté for a couple minutes before adding carrots and celery and sautéing for about five more minutes. 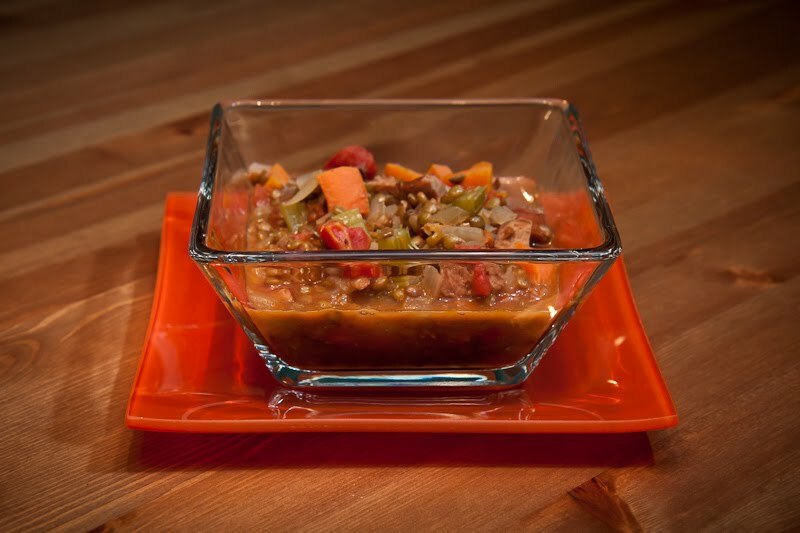 Stir in sausage, tomatoes, lentils, Creole seasoning and broth and bring to a boil. 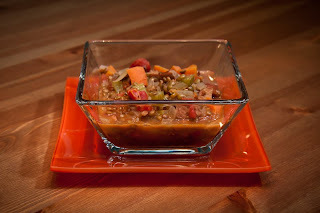 Drop down to medium heat and let pot simmer until lentils are tender, about 30 minutes, and serve in bowls. Fall in Sacramento is a bit screwy. Although October showed signs of change in the form of a couple gray, rainy days, we’ve had highs in the 70-on-up range this week. But hey, the leaves are changing colors, the sycamore’s starting to make a mess of the front yard, and there’s still a nip in the air when you walk out to your car in the morning. 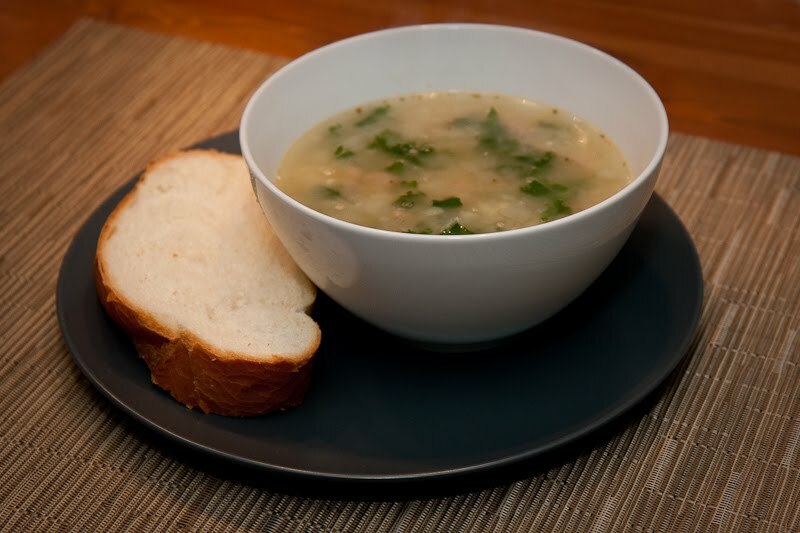 Squirrel away this recipe for a rainy day, or just bust it out the next time you’re craving some hearty soup and a big slice of French bread. Brown sausage in a soup pot, remove and set aside. Add garlic and onions to pot, stirring occasionally over medium heat, for a couple minutes so the pot is nice and fragrant. Add oregano and stir for another minute or so before adding broth and potatoes. Bring pot to a boil and then drop heat to a medium flame, cooking potatoes until they’re soft. 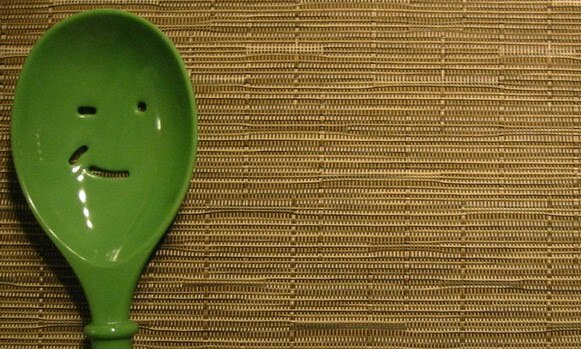 Use potato masher if you want smaller potato chunks. Add kale to pot -- it should only take two or three minutes to cook. Add sausage to pot, stir, and season with salt and pepper. Sprinkle soup with Parmesan, if desired, and serve with French bread.